BIAFRA WRITERS TO BUHARI: STOP BEGGING NDA TO REFRAIN FROM BLOWING UP THE PIPELINES, FULFILL THEIR DEMANDS. 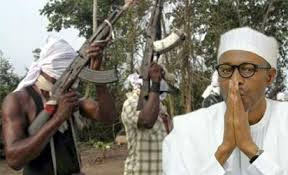 Recently, President Muhammadu Buhari was reportedly said to be begging the Niger Delta Avengers to refrain from bombing the oil installations and pipelines in their area without even addressing the cause of their agitation or fulfilling their demands. Questions Buhari should be pondering are; Are these not the same people he said were not born before the war? Are these not the same people he promised to crush with military might? Are they no longer the same people he once he owes no apology for massacring their people and loved ones during the Biafra genocide of 1967 to 1970 and also stated that he would kill them again if he had another opportunity to preserve one Nigeria? Muhammadu Buhari; why are you begging them in the name of God? Was it God that asked you to order your killer squad army to invade our communities in Bayelsa, Delta and Rivers state and killed our people, raped our mothers and sisters, stole our properties including the staff of authority in Tompolo’s shrine and humiliated our kings and chiefs? Muhammadu Buhari; these are the same people you ordered your army to massacre at Ogoniland. You ordered your bloodthirsty army to exterminate us during our prayer for the release of our illegally detained leader Nnamdi Kanu(POC) and asking for the restoration of a sovereign Biafran state at Aba, Onitsha, and Port Harcourt. 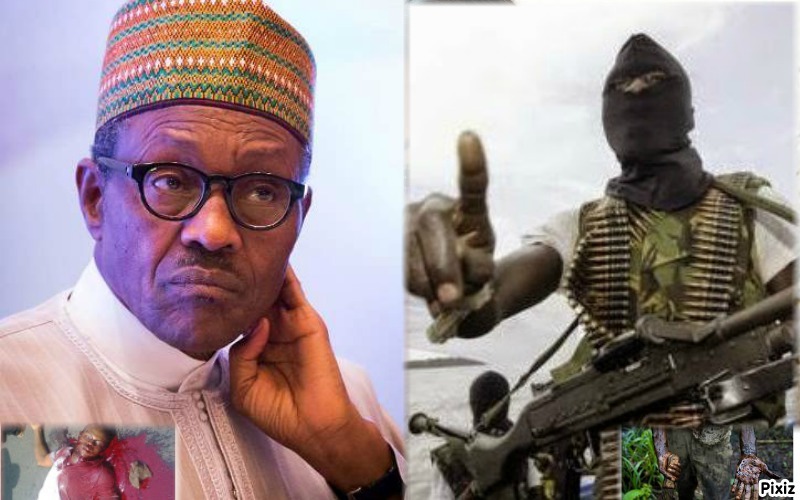 Muhammadu Buhari, have you forgotten in a hurry that on the eve of 29th May and on 30th May 2016 you ordered your recruited Boko Haram army to kill over 200 unarmed Biafrans who gathered to remember and honour our fallen heroes who died that we may live? A huge number of them was those you murdered during the war. Muhammadu Buhari; you, your Hausa/Fulani cabals and your foreign allies have been milking us dry for decades, your one Nigeria concoction is only surviving because of the oil and gas deposits in our domain yet you cannot provide us with basic amenities and needs of life. Our creeks are fed with darkness and zero infrastructure, we drink the same water where we defecate. If you; Hausa/Fulanis were to be in our shoes, can you sincerely, endure what we have endured for decades? Muhammadu Buhari; you Hausa/Fulanis said that there is no oil producing state in Nigeria; of course we know that is true because all the oil producing states are in Biafraland, but saying that the oil in our domain belongs to the North, you are only dreaming and we shall surely wake you up to put an end to that your dream. As a matter of fact, we are expecting the worst from you and your allies, but be reassured that we are unstoppable, we are determined and fanatical about the restoration of Biafra. No going back on the bombing of oil pipelines until our demands are been matched with actions. Biafra restoration is the solution to the unending nemesis that has befallen the expired contraption called Nigeria.